PMSL is a dynamic, continually evolving consultancy delivering a range of services to businesses that are focused on improving the productivity of its resources. Operating ethically and with integrity matters to us. Our principals believe in being continually plugged into the social and cultural reality of society not only to better understand and support our partners and their staff but also to meaningfully contribute to improving the well-being of our communities. A Human Resource Professional with over twenty (20) years’ experience, with a track record of achievement for developing employee and organization capability. Her key strengths include Strategic and Operational Planning, Performance Management and Industrial Relations with demonstrated successes in service, energy and manufacturing industries. Delia holds a Distinction Masters of Human Resource Management, a Post Graduate Diploma in Human Resource Management and Undergraduate degree (Hons) in History and Economics. She has been involved in Strategic and Operational Planning at several levels throughout her career, at large organizations as well as multi-country organizations. She has been trained in the methodology of Strategic and Operational Planning at local, regional and multinational levels and has implemented such plans at various levels of sophistication. Her practical experience at a cultural level, being familiar with the Trinidad and Tobago’s environment, is one of her strongest advantages. During her career Delia has successfully negotiated several collective negotiations including West Indian Tobacco Company Limited and CIBC First Caribbean in St. Lucia, Barbados, Dominica, Antigua and Jamaica. Delia is presently a Non-Executive Director on CLICO Insurance Trinidad and Tobago Limited and Methanol Holdings International Limited. 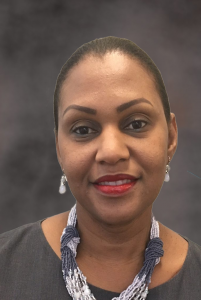 Delia has held several senior positions on local and international Organizations including Process Plant Services Limited – Senior HR Professional, West Indian Tobacco Company Limited – HR Manager, CIBC First Caribbean – Regional HR Director, Atlantic LNG – Vice President HR. Diana Mahabir-Wyatt graduated from Mc Gill University, Quebec, Canada in 1963 having worked in the field of Education. In the early 60’s she coordinated a class at the Lady Hochoy Home and taught at St Augustine Girls’ High School, going on, from 1963 -1966 to teach a survey course in communications skills at the St. Augustine Campus of the University of the West Indies. She is a certified Psychometric Testing specialist and has been trained in Domestic Violence counseling and in Executive Coaching by the Institute of Executive Coaching in California, USA. In 2001 she got her M.Sc. (Edu) from CSUH, specializing in online education and adult learning, and in 2012 was awarded an LLD (Doctorate of Laws – honoris causa) from the University of the West Indies. In that year she was also awarded a Community Service Medal (Gold) for her work in the field of Human Rights specifically work with women. In 1966, Diana Mahabir-Wyatt joined the Employers’ Consultative Association of Trinidad and Tobago responsible for setting up supervisory and management training programmes and for handling general administration. In 1969, she was appointed Director of the Association. Serving as Chief Executive Officer of the Employers’ Consultative Association and the Caribbean Employers’ Confederation simultaneously for almost 15 years, she gave assistance to employers’ federations throughout the Caribbean in industrial relations, management training, labour legislation and human resource development. Ms. Mahabir-Wyatt served as a founding member of the National Training Board of Trinidad and Tobago, of the Registration, Recognition and Certification Board and of the National Insurance Board of Trinidad & Tobago. She served on various other national committees and commissions including the Workman’s Compensation/Employment Injury Committee, Severance Pay Legislation Committee, Freedom of Association Committee, National Flexi-Time Committee, National Productivity Council, the National Training Board, the Self Help Commission, and the Family Court Committee, among others, as well as on the Boards of Directors of several private companies, Servol Limited, Childline, and numerous other community based boards. During this period she worked with many government ministries and international organisations including the International Labour Organisation where she served as an alternate member of the governing body, the OAS and the Inter-American Development Bank. In 1991 Diana Mahabir-Wyatt was formally appointed an Independent Senator by the President of the Republic in the Parliament of Trinidad and Tobago and served continuously in that position until she left the Senate in 2000. She is at present the Chairman of the Board and an Executive Director in the consultancy firm of PMSL. 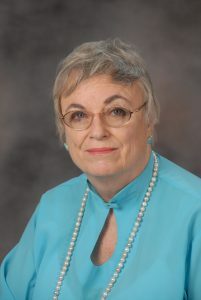 Since becoming a founding Partner of PMSL, her portfolio has included the development of performance management systems, managing the human resource aspects of organizational change, assessing training needs and developing training programmes appropriate to the culture of individual companies, and industrial sectors, executive “head hunting”, psychometric testing, executive level mediation and internal company investigations, dispute handling and providing advice, individual coaching and training in industrial relations, team-work and leadership development matters. Gail Mohammed is a former Vice President of Human Resources and has over (30) thirty years of comprehensive human resources experience. Her range of HR expertise includes Strategic Human Resource Planning and Management, Recruitment and Selection, Organisation Development, Talent Management, Compensation and Benefits, Employee Relations, Employee Engagement, Culture Building, Training, Policy Development and Policy Administration, Performance Management, Expatriate Administration, Leadership Development, Coaching and Mentoring and Workplace Mediation. Ms. Mohammed has B.A Arts and General Studies (Social Sciences Major) from the University of the West Indies, St Augustine, and a Post Graduate Diploma in Business Administration from the Herriot – Watt University. She is currently completing her coaching certification with the International Coaching Academy. Ms. Mohammed’s work experience spans a number of sectors such as a state enterprise, an NGO and a multi-national energy company. She has successfully implemented human resources strategies, systems and processes and built effective human resources function, in a startup organisation. Ms. Mohammed has proven experience in collaborating with senior management to achieve the following. Ms. Mohammed has served as a Director on the Boards of the National Training Agency, and the Trinidad and Tobago Manufacturers Association, and is a past member of the Trinidad and Tobago Chamber of Industry and Commerce, Industrial Relations Committee and the Ministry of Labour’s Standing Tripartite Committee on Labour. She is a current member of the Human Resources Management Association of Trinidad and Tobago, the Society of Human Resources Management (SHRM) and the International Coach Federation (USA). Edward Kacal holds a BSc in Industrial Engineering from the University of the West Indies and an MBA from the Edinburgh School of Business. He is pursuing his Doctorate of Business Administration at the Arthur Lok Jack School of Business in Trinidad and Tobago, specializing in business model innovation, with special focus in improving the competitiveness of Caribbean companies. Edward’s career of over 24 years, has centred on utilizing his Industrial Engineering, Project and Business Management expertise to improve business processes: building efficiency and productivity across disciplines within the business, and developing growth opportunities. He has been a key team member or team leader of several company acquisition and merger projects, where business model have been improved as a result of the merging process. Recently, as the Managing Director of Ansa Coatings Limited, he completed the project of merging the two paint and coatings companies within the Ansa McAl Group of companies into a new entity, coupled with a roll out of a new Enterprise Resource Planning software platform and a plant upgrade. Edward is currently the Chief Executive Officer of Servus Limited, a Facilities and Project Management Company operating in Trinidad and Tobago. He also lectures at the University of the West Indies in Project Management in his spare time. Terri Ann, as the lead consultant to Sandstone’s clients, brings more than 28 years of corporate experience and proven success in managing, mentoring, motivating, and coaching companies through change. Skilled in market and business management, she has led teams through significant shifts in business strategy and redefined growth paths in existing and new markets in the retailing, manufacturing and distribution sectors. Terri Ann excels in working alongside company teams to move past discussion on plans into focused action that delivers results and drives growth. Her depth of perspective allows Terri Ann to bring balance to strategic issues in the context of operational constraints – a critical asset when operational and change management programs are needed. Joel-Ann Cook-Walcott is a seasoned HR Generalist with 23 years’ experience in all aspects of human resources management and specialist skills in talent development and organization transformation. She has served at all leadership levels over the last 16 years in the Human Resources field including Chair of the HR Committee at 2 state boards, Head of HR and various other managerial positions. Her experience covers a wide gamut of sectors, having practiced in the banking, manufacturing and energy sectors. She has presented at regional conferences and currently lectures with the University of the West Indies as a Part-time Lecturer with the Department of Engineering. Cassandra Patrovani, Post Graduate Diploma, Organisational Behaviour (Birbeck College, University of London), Diploma Marketing, FLMI, ACS is an internationally qualified and experienced Management and Behavioural Consultant and has been actively involved in providing back office support to Consulting Partners and Associates in New Zealand, Australia, Malaysia, USA and the UK designing interventions for global companies such as BP-Ford and Coca Cola. Locally she has contributed to the development of Role, Group and Action Methods through interventions at The University of the West Indies, TSTT, GoRTT Ministries, Petrotrin and PricewaterhouseCoopers – to name a few. Her current focus is on Strategic HR Design, HRIS Implementation and, Leadership and Management Development. Over the past years Cassandra has held the following local organizational roles: Change Manager for GoRTT’s implementation of PeopleSoft; Group Executive, Human Resources and Corporate Communications at One Caribbean Media; Senior Human Resources Business Partner at British American Tobacco Caribbean and Central America, and, Vice President, Human and Corporate Relations at The National Gas Company of Trinidad and Tobago Limited (NGC). While at NGC she led a team of international Consultants to implement the SAP SuccessFactors HRIS positioning NGC as the first and only Caribbean organisation to benefit from the full suite of this HR platform. Her professional education has taken her through Actuarial Science, Programming and Systems Design, Marketing, Financial Analysis, Training and Development, Strategic Planning, Manufacturing Operations and of course Human Resources. She is specialized in the areas of Strategic Human Resource Management, Change Management, Behavioural and Relational Analysis, Groupwork, Group Development and Facilitation. She is an internationally qualified and certified Trainer, Facilitator, Occupational Counsellor and Group Leader and continues to build on her extensive training in Group Development and Action Methods. She maintains professional memberships the Society for Human Resources Management, the American Society for Training and Development, the International Association of Facilitators, the Association for Specialists in Groupwork, the British Psychological Society, the American Society for Group Psychotherapy & Psychodrama and the Australia New Zealand Psychodrama Association. Cassandra is currently reading and researching for her MBA in Leadership and Sustainability. She is the proud mother of a five year old who, on a daily basis, challenges everything she has learned about human behavior and development. She actively enjoys extreme sports, fishing, hiking, camping, photography and writing. She edits and reviews for the International Association of Facilitators focusing on Dialogue and Process.